Anxiety is an issue that comes in many different forms. It also happens to be a large part of dentistry, often keeping people from obtaining optimal oral health. The issue is known as dental anxiety. Estimates conclude that roughly 10-15% of Americans avoid the dentist strictly out of fear. To put this into perspective, 10-15% of Americans equates to about 30-40 million people. That’s a lot! 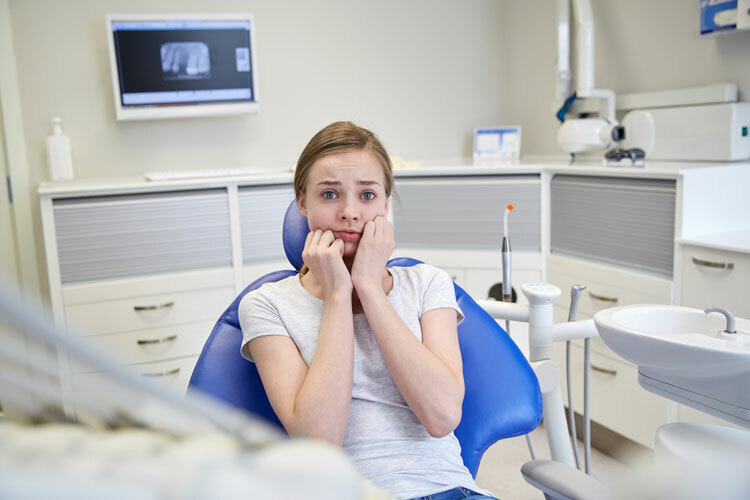 A British survey was conducted on this topic and 36% of the respondents mentioned that the reason they did not visit the dentist was simply because of fear. Dentists want to know this answer because it helps them create an environment that allows someone to feel relaxed and comfortable, in other words not anxious. It is no surprise that people with dental anxiety, or dental phobia as it’s often referred to, have poorer oral health. They may suffer from periodontal disease or discolored teeth that impact their own self-esteem. Communicating your fears and concerns to your dentist. By being open and honest with your dentist, they can work to help alleviate your fears. If the issue is pain related, there are plenty of sedation dentistry options to consider. Perhaps the issue stems from embarrassment? Your dentist can assist with these concerns and work towards improving your oral health – which is the primary reason you’re at the dentist. This entry was posted in Dental Education and tagged causes of dental anxiety, dental phobia, fear of the dentist, overcoming dental anxiety. Bookmark the permalink.